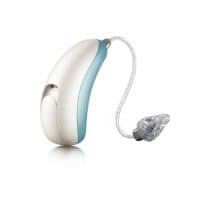 Unitron Moxi Tempus Rechargeable Hearing Aid. 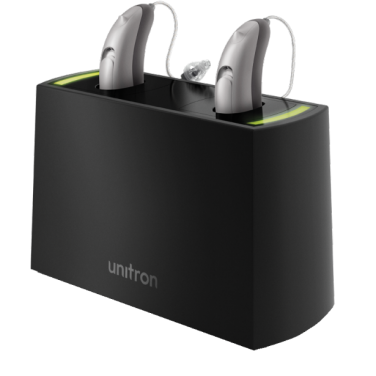 Buy Now & Save With Hearing Choices! 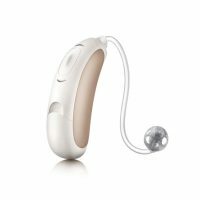 Moxi™ Fit R is the world’s smallest rechargeable hearing aid, giving you ultimate discretion with award-winning design that always feels natural and comfortable. You’re ready for every conversation, with an overnight charge that lasts all day. You can even swap in zinc-air batteries at any time so you’re never without power. Moxi™ Fit R are built on Unitrons latest Tempus platform which provides seamless and automatic adjustments based on your listening environment. Convenience – It’s simple to charge your hearing aids, simply place them on the charging base and they will be fully charged in just a few hours. Ease of Use – one rechargeable battery can last an entire year, so there’s no need to be constantly changing batteries. Environmental – Every battery is fully recyclable and one rechargeable battery replaces up to 100 disposable ones. 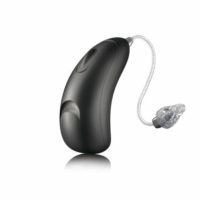 Never Run Out of Power – Forgot to charge your hearing aids? No worries, simply swap to zinc-air disposable batteries as required..